GATE 2019 Mock Tests have been released. Graduate Aptitude Test in Engineering (GATE) is the renowned entrance exam which is conducted by the seven IITs and IISc on rotation basis. GATE score cards are accepted by IITs, IISc or other top institutions for M.Tech/direct Ph.D admission. GATE 2019 examination will be administrated by the IIT, Madras. In this article, we are discussing about GATE 2019 preparation tips, GATE previous year papers, Preparation Tips & tricks and how to crack GATE exam. GATE 2019 Mock Tests for various papers have been released. Click here to practice mock test. GATE is one of the highly competitive examinations that needs complete focus and a good understanding of basic concepts. Students who are preparing for GATE 2019 can check this article for tips and tricks that help the students to score good rank in the examination. Mock Test is one of the good preparation methods for GATE examination. Candidates can practice mock test through the link provided above. By practicing mock test, candidates can get an rough idea about the examination pattern, answering method and other details. Through mock test, candidates can also analyze their performance. Check here last year questions papers (2016, 2017 & 2018). Mining Engineering (MN) Question Papers. Metallurgical Engineering (MT) Question Papers. Chemical Engineering (CH) Question Papers. Petroleum Engineering (PE) Question Papers. Computer Science & Information Technology (CS) Question Papers for all sets. Production & Industrial Engineering (PI) Question Papers. Electronics & Communication Engineering (EC) Question Papers for all sets. Textile Engineering & Fibre Science (TF) Question Papers. Electrical Engineering (EE) Question Papers for all sets. Engineering Sciences (XE) Question Papers for all sets. Ecology & Evolution (EY) Question Papers. Life Sciences (XL) Question Papers for all sets. Geology & Geophysics (GG) Question Papers. There is a well-said quote “Practice makes a man perfect”, it is true. Make a habit to practice previous year question papers as it will help you to maintain your speed as well as familiarizes you with the topics that appear frequently from the last years. Apart from practicing previous year question paper, students are advised to take the mock test. It will improve your skills, knowledge and also let you know about your time management & speed. As you know that GATE is conducted for 24 papers. The syllabus for every paper is different depending upon the core subject that you have studied during the qualifying examination (B.Tech). There are some sections like General Aptitude is common in all the papers. It is necessary for the students to go through the GATE 2019 syllabus. It can familiarize you with each of the subject/topics that will come in the examination. Time Management plays a very important role in the preparation of exam. Before starting preparation, you have to make a proper time that covers all your subjects/topics. Allot more time to subject that needs more attention and that are asked every year. Try to complete syllabus in time so that you will get enough time for revision. Revision is very important before going for the examination as it helps to recall many things that might get skipped from your mind. Allot last 2 days of examination for the preparation of important topics. “Which books should I refer for GATE 2019 preparation?”. This is the basic question that strikes every student mind who are preparing for GATE. At sarvgyan.com, we are facilitating some GATE books that covers the entire syllabus as per the latest pattern. Students as per his/her specialization can choose the books. If candidates have any query regarding GATE 2019 Preparation Tips, they can leave their comments below. I am read in b.sc. therd year student. will be i give gate examination? I completed M. Tech 1st year at MIT, I joined in MIT college without a gate. now I’m doing my project, now can i apper in GATE 2019? May you provide me best book of physics to crack Gate exam. Hi, I am MSc Mathematics passed out and planning to appear for GATE Mathematics (MA) Question Papers. Can you please suggest some good books which covers full syllabus, lots of GATE level question papers to practice. I complete MCA ( master of computer science ) having 14 years experience can I eligible for the GATE 2018 entrance speciation COMPUTER SCIENCE. IF not which subject I have to choose for doing Phd (computer science ) waiting for your response. Yes, you can choose computer science. can u please tel me what is the procedure to login to mock tets? what username should we use there? The credentials of your GATE Account to be used.
. please provide some notes on subject chemistry (CY) in pdf form also tips. Syllabus of Instrumentation Engineering and which books to refer. Sir/madam pls provide an sallybus or the notes in pdf to prepare an GATE exam. Sir , I am CSE final year and I preparing the GATE exam. Sir is it possible to complete gate syllabus within a month.? As I am left with only a month…. I am so tensed and worried because everybody is telling its next to impossible to complete it within month… Please guide, At this situation it will be a lot help…..
please send me syllabus of electronics & telecommunication for gate2017 examination. I want a separate material for all topics that covered in EE. is there section wise cut off for entry to college? Plase sir,suggest me book for gate preparation. you can study from good books and solve mock test papers, for more information read the article above. How can i get mock test papers in chemistry. I searched in the above addrss but there is many problm creat…….so pls help me. I am the candidate of gate-2017. How can i prepare myself in 2 months to get good score in gate 2017.and how to cover the all subjects. Hello sir…please suggest me my email address is wrong type. Sir please tell me any problems. Hello sir…please suggest me a author and book for gate-17 ece…. Pls Send me gate 2017 syllabus of electronic and telecommunications..
Hi sir.. I’m doing final yr mech.. I want easy and short notes of aptitude ques related to the gate exam… May u help me? you should practice previous year papers, focus on important areas, make a proper study schedule. Also a crash course for GATE 2017 might be helpful. provide material for computer science. it is there in article with the name “CS01 & CS02”. I am in final year now, Degree certificate will be issued after july 2017. In this case How can I upload the Degree certificate? you can upoad your 3rd year degree certificate. 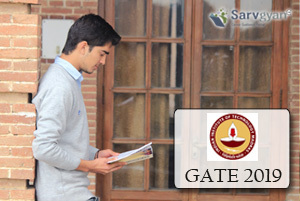 also read the information brochure of GATE for detailed information. How can I prepare myself in 4 months to crack GATE 2017.I am very tensed now.